Without doubt, one of the most difficult and dangerious problems fire-fighters can face at a high rises incident is a wind driven fire. Although known about for many years this phenomenon has not been widely acknowledged, researched or trained for. Subjectively it would appear, across the Fire Services (UK) that ,although the majority have heard the terminology “ wind driven “ or “blow torch” , they had very little understanding of what this actually meant. More importantly there seems a poor understanding of how it should affect the tactical decision making of Incident commanders and breathing apparatus (BA) fire fighting teams. Wind driven fires are dangerous and can happen even at ground level. It is appropriate for ALL firefighters to have a good understanding of the signs, symptoms and effect of this phenomenon. Because wind speeds tend to increase with height, there is a much higher probability of encountering wind driven fires in tall buildings. The effect of wind can create a situation where the process of combustion (fire) may be accelerated and cause a fuel to release its energy at a much higher than normal rate. The wind can also make reading fire compartment conditions difficult and unreliable. For example 'sucking noises' at a door letter box and around door frames is a potential sign of a potential backdraft environmental it MAY be simply a sign of a negatively pressurised compartment. All firefighters should understand the basic dynamics of a fire. They are explained in detail on our " Physics of Fire and Smoke" page. The term "Wind Driven" fire has no formal definition under ISO or within the UK Fire Service Manuals. It is becoming the standard generic term for fires that may also is referred to under various other names, notably; Forced Draft, Force Vented, Blow Torch and Wind Fed. "..any fire at which the effect of the wind is causing and abnormal acceleration or spread"
In general terms this will also apply to the products of combustion as well. 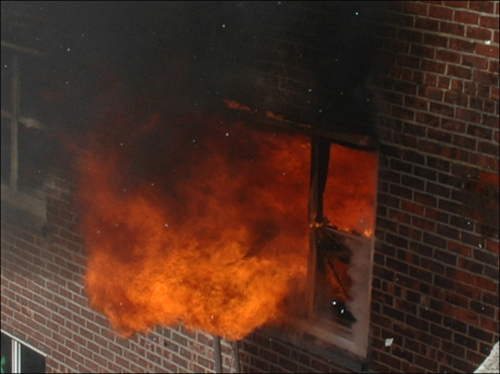 Wind driven fires can occur at ground floor level. High-rise buildings, by there very nature create abnormal, unpredictable air flows and wind speed generally increases with height. Wind is a complex pattern of air movement around the surface of the earth. It is caused by pressure and temperature differentials and the effect of the rotation of the planet (Coriolis effect). change. Wind can be described as the flow of gasses on a large scale. It is measured in Kilometers (or Miles) per hour or sometimes Knots. In the UK the strongest recorded wind gust was 146mph in 1989, recorded at low level. The strongest sustained wind average in the UK was 73MPH (1971). Winds can go from still state to gusting at Hurricane force (+75MPH) in under 5 minutes (RAF Lossiemouth 1981). Wind can change direction by up to 90 degrees in 20 mins (RN Boatcraft D3). 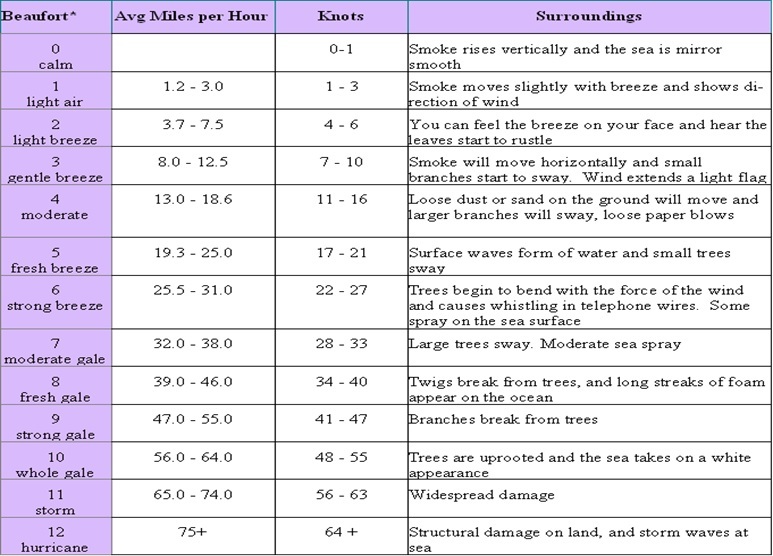 Wind is often expressed using the Beaufort scale, which can help visualise the wind speed. Most gases (and the wind is a gas) and fluids exhibit the same physical characteristics and obey the same rules when in motion. The science of this movement is referred to as fluid dynamics (1). This is a substantial and well researched science that uses established Computer Aided Fluid Dynamics Software (CDF) to calculate and visualise how fluids and gases move. If you blow on a piece of paper it will move, this is because your blowing (wind) will create a force on the surface of the paper that it can not resist (pressure). When wind directly hits the face of an object it creates a positive pressure on that face and interestingly wind blowing around or over the surface of an object can create areas of negative pressure. Wind that blows INTO an object creates a positive pressure in that object. If for example a wind blowing against a room with an open window (inlet) will create a rise in pressure in that room. If that room has no other openings then the pressure will rise in direct proportion to the wind speed. Air will flow in until that room is pressurised (balanced) and the flow will stop. If the room is open to the outside at the opposite wall then there will be a slight pressurisation and a continuous flow through the room to the outgoing (exhaust) point. A high energy fire is one that that may be described as liberating a notably high amount of (heat) energy and may be caused by the characteristics of the fuel or by the oxygen source (air). The actual amount of energy is subjective as the phrase ‘High energy fire’ is not an officially recognised term (ISO, NFPA). 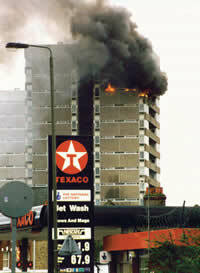 In relation to High Rise, the most common ‘high energy fire’ will be the Wind driven fire. There is also an additional benefit that the wind will create a better mixture of fuel and oxygen. Technically, wind will create an over oxygenated fire (overstoichiometric combustion). By definition a higher energy fire will be harder to put out, usually requiring more water and some form of direct attack. Firefighters must be exceptionally cautious reading fire conditions in high rise buildings. The affect of wind can drastically or even completely change the normal indicators that firefighters use to recognise dangerous fire phenomenon (Backdraft, Flashover etc). There are many ways in which wind can travel through a building, some of them a by product of the incident itself. For example; a set of Automatic Opening Vents (AOV) operating with the fire alarm or Fire fighters wedging open doors to facilitate equipment movement. There will be circumstances where there is an existing opening (a deliberately opened balcony doors) or a failure in the fabric of the building (a burnt out window). Fire fighters should always endeavor to minimise the amount of air pathways they create and should maintain compartmentation whenever possible. Positive pressure ventilation is difficult to use in an offensive mode within (or at the door of) the fire compartment because of the problem of protecting the vent point. However PPV can be highly effective in moving smoke out of the building and creating 'pressure protected' stairwells and corridors. Its use must always be balanced against the potential wind pressures it has to overcome. 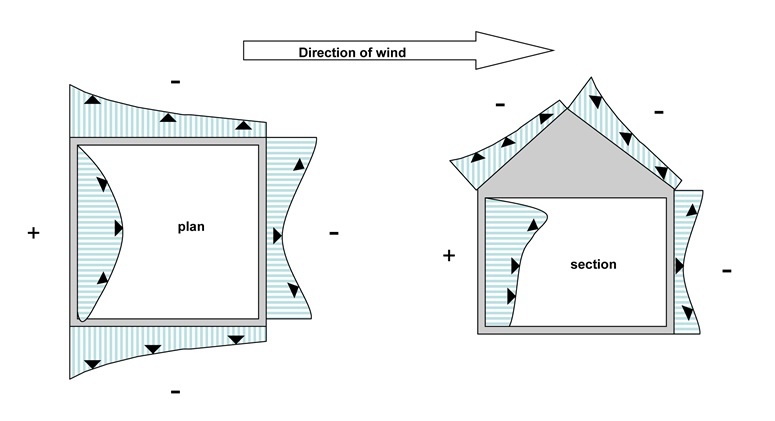 Strong wind blowing into large openings can create areas of substantial wind pressure within compartments and buildings. 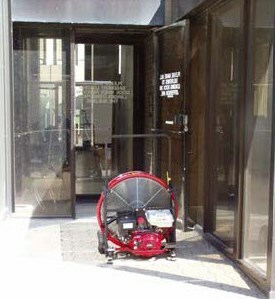 Whilst it is appropriate for Incident commanders to build ventilation into any tactical plan, smaller portable fans may not be able to overcome the pressurisation effect of the wind. Firefighters should always endeavor to minimise the amount of air pathways they create. They should maintain compartmentation whenever possible by closing doors and windows and avoid obstructing fire compartmentation doors. Always try to avoid creating an air pathway between the fire compartment and the stairwell. Consideration should be made to evacuate any areas at risk from fire or smoke spread once the fire compartment is open. This may include occupants whose escape route may take them past the fire compartment. Designate and categorise risk zones and put in place suitable measures to counter or reduce the risk in these areas. Take advantage of any fixed installations at hand, especially riser installations. Carefully risk asses the location of the outlets that are to be used. It is highly likely that any location between the fire compartment and the outlet in use will be affected by smoke. A good guide is to use the nearest outlet to the incident that is safe to set up (in other words not in smoke). Many UK FRS recommend using the outlet on the floor below the incident, but this will inevitably lead to stairwell smoke contamination and unwanted travel. Often outlets are located actually in the stairwell (as it is defined as a 'protected area' ) again leading to potential smoke contamination and unwanted travel. If the selection and use of the most suitable outlets could lead to extensive/stairwell smoke contamination and unwanted smoke travel then this must be factored into any risk assessment and suitable control measures (typically PPV and safety observers) be put in place as soon as possible. Compartment entry must be well controlled.. If at all possible the integrity of the door and door frame should be maintained. A line or strop attached to the door prior to opening will enable rapid closure if required. Crews must be fully prepared for a high energy fire that can quickly advance towards them. Crews MUST be well practiced in door opening techniques, and be ready to carry out a quick controlled retreat should the conditions in the compartment overwhelm the level of attack they can sustain. 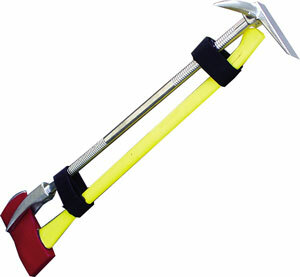 An ideal setup is the Halligan Tool and an Axe, known in the USA as a 'set of Irons' UK firefighters must be fully conversant in the use of a set of irons before they attempt to use them. Controlling Wind driven fires will take a good supply of water. With recent research estimating that wind driven fires can generate ranging between 15 and 20MW incident (2), compounded with the difficulties of using 3D techniques with main hose lines and current branches at lower pressures. A wind driven fire MAY not behave in the same way as sealed or partially ventilated fire. Typically the neutral plane (the boundary between the heated smoke and the cooler air) may not exist. Wind turbulence can easily overcome any heated gas buoyancy. It has been observed that when openings are made into these compartments (typically the entry by Fire fighting crews) the incident worsens quickly. Heat and products of combustion may spread from the compartment, towards Fire fighting crews as it seeks alternative exit points or areas to pressurise. This spread is not just at at the top of the opening but may be the full height of the opening. Always remember : There is no one single fire fighting technique that will suit ALL High Rise or Wind driven fire . Crews should be fully conversant with 3D, Combined, Indirect and Direct fire fighting techniques. With this knowledge, an understanding of the dynamics of a wind driven fire and knowing the available water supply and equipment, they can choose the most appropriate technique (or combination of techniques) to be used. 'TWO LINES IN' offensive attack. As a potential starting point for an offensive attack into a flat/apartment: 2 hose-line entry team, of 4 firefighters, consisting of one line with a low pressure/high flow fog nozzle and the second with a smooth bore 22mm branch (solid stream nozzle) fed via 51mm hoses. As soon as possible back these lines up with appropriately positioned, manned safety jets in corridors and/or stairwells. The to offensive jets can use a combination of techniques to fight the fire but there should always be a substantial element of direct attack (application). A Wind driven fire is one of the most dangerous phenomenon a firefighter can experience. EXPECT IT, train for it , be well equipped for it, and always have a retreat plan in place. Wind is a factor. Wind (or air) can significantly increase the thermal hazards of a fire in a structure. Smoke is Fuel. A ventilation-limited (fuel rich) condition developed prior to the failure of the windows. Venting does not always equal cooling. Wind velocities within the structure exceeded 5 m/s (11 mph) due to the fire growth and the flow path that was created between the window opening and the open bulkhead door on the roof. Avoid the flow path. Thermal conditions in the flow path could exceed 600 ºC (1112 ºF) and were not consistent with firefighter survival. Control the flow path. Wind driven conditions with untenable thermal conditions cannot occur if there is no flow path through the structure. If the door to the stairwell on the fire floor is closed, it limits the spread of fire and heat will be limited and wind driven “blow torch” conditions will be prevented. Use of PPV. PPV fans could not overcome the effects of a wind driven condition. However when used in conjunction with door control, Wind Control Devices (WCDs), and Floor below nozzle (FBNs) (tactics that stop the wind driven condition) the PPV fans were able to maintain tenable and clear conditions in the stairwell. Impact of WCDs (Wind Controlled Devices). The WCDs can reduced the temperatures in the corridor and the stairwell by more than 50%. The WCDs also completely mitigated any velocity due to the external wind. The WCD must cover the window opening completely to be effective. The benefit of using a WCD, compared to using the apartment door or the stairwell door, is that the flow path is interrupted at the entry point. This improves all of the conditions along the entire potential flow path. Impact of externally applied water. In all cases, the water flows suppressed the fires. This demonstrated that a relatively small amount of water directly applied to burning fuels can have a significant impact.